The Co-Chairs of the group in support of Ukraine in the US Congress issued a statement demanding the release of Ukrainian journalist Roman Sushchenko and the termination of the persecution of his colleagues by the Russian authorities. "We remain troubled by the targeting and detention of journalists by Russian authorities for no crime other than seeking the truth,” the Co-Chairs said. “Freedom of the press is a fundamental principle of democracy, transparency, and the rule of law, reads the statement signed by Democrats Marcy Kaptur, Sander Levin and Republicans Andy Harris and Brian Fitzpatrick. Congressmen believe that the wrongful treatment of journalists like Roman Sushchenko is part of a larger trend of politically-motivated persecution and violation of fundamental human rights by Russian authorities. The US officials say they are joining the international community, calling for the swift release of Sushchenko and other journalists. The Congressmen remind that, according to the Committee to Protect Journalists, nine journalists in have been killed in Russia the past 10 years. Reference: On September 30, 2016, the Russian FSB detained a correspondent of the Ukrinform news agency Roman Sushchenko, calling him an employee of Ukrainian intelligence, who allegedly "purposefully collected information about the activities of the armed forces and troops of the Russian national guard, which are state secrets." The criminal case against the journalist was initiated under the article "espionage". 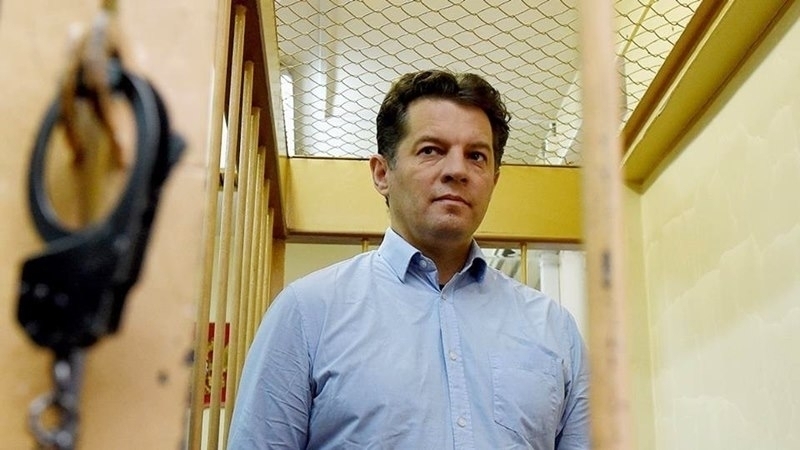 State of health of Roman Sushchenko who is unlawfully detained in Russia is deteriorating. In particular, his eyesight is getting worse due to the poor lighting in the remand centre. On November 20, journalist Roman Sushchenko received the right to a meeting with his wife and daughter.